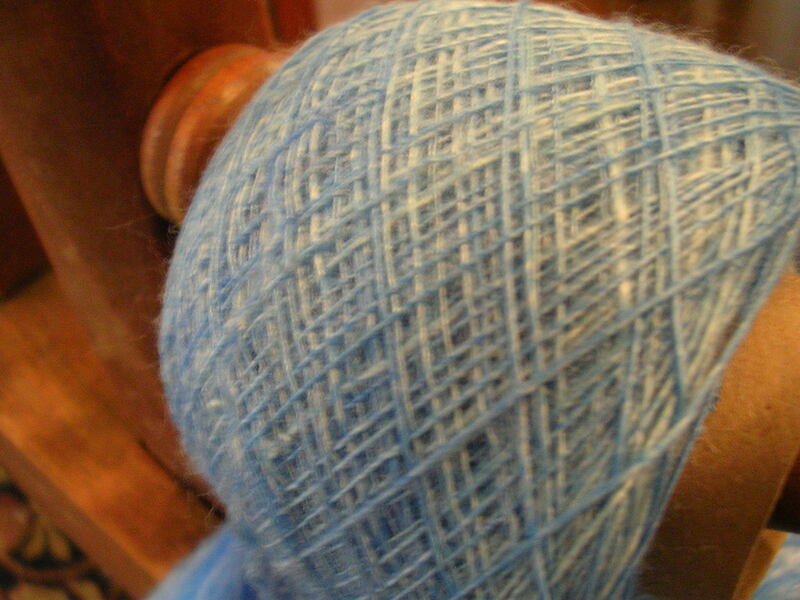 I finally figured out what I wanted to do with that blue Merino/Bamboo blend that I got from Whorling Tides. Because of the way the Great Wheel works I can spin stuff really, really fine. It’s like a giant support spindle! (I’m planning to try cotton on it sometime in the near future.) I’ve spun about half of the braid. Here it is reeled off onto a cardboard tube.